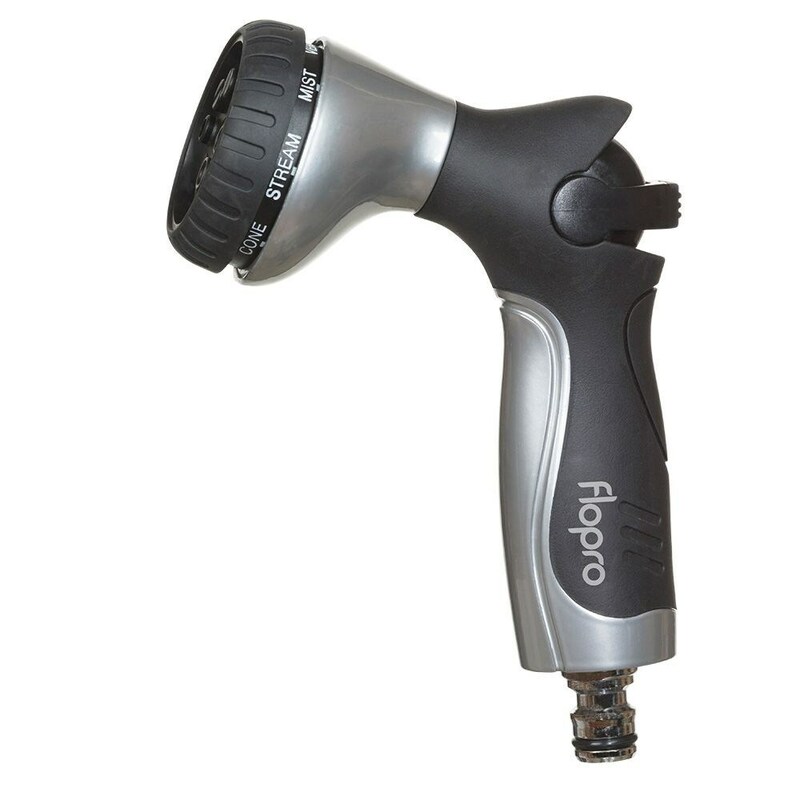 Buy Flopro professional multi-spray gun: <ul><b><li>Easy one-handed adjustment</li><li>Compatible with all hose brands</li><li>Durable metal construction</li></b></ul><br>This heavy-duty Flopro metal spray gun features a choice of 8 spray patterns from gentle mist through to powerful jet - ideal for all cleaning, rinsing and watering jobs.<br><br>The gun snap fits to any standard hose via the chrome male adaptor and features a one-handed flow control and soft-touch rubber grip for comfortable use. This heavy-duty Flopro metal spray gun features a choice of 8 spray patterns from gentle mist through to powerful jet - ideal for all cleaning, rinsing and watering jobs. The gun snap fits to any standard hose via the chrome male adaptor and features a one-handed flow control and soft-touch rubber grip for comfortable use.